Looking for a one-stop auto repair shop in the Maple Leaf, WA area? 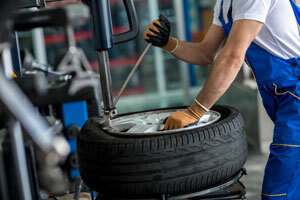 Rick’s Tire and Chevron is one of the best auto repair shops serving Maple Valley, WA and its surrounding areas. 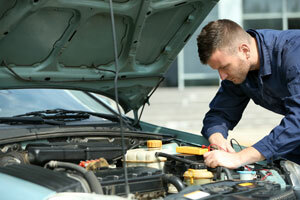 We offer a wide range of auto repair services for nearly all makes and models. From engine repair to air conditioning repair and tire rotation and alignment, we can do it all! We understand that your vehicle is an investment. That is why our mechanic treats your vehicle with utmost respect and care. We work hard to meet your auto repair needs, quickly and efficiently. We have many years of experience offering truck and car repair services to clients in Maple Leaf and its surrounding areas. As a family owned and operated business, we offer personalized service to each one of our customers. Our goal is to make your experience with us as positive as possible. From a friendly team to reasonable rates, we go an extra mile to ensure you are fully satisfied with your truck or car repair experience. Bring us your car or truck as soon as you notice a strange smell or noise or see smoke coming from under the hood. 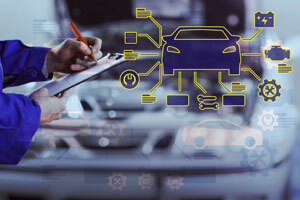 Our auto mechanic will accurately diagnose the issue. Our auto mechanic provides quality, permanent truck and car repair solutions. These professional car and truck repair services can extend the lifespan of your vehicle, and keep you safe on the road. Our auto mechanic is well trained and ASE certified. By using the latest automotive technology, our auto mechanic ensures your Maple Leaf vehicle is repaired to the highest industry standards. Let us get your vehicle back on the road in no time at all. For your peace of mind, we warranty all our parts and labor. If you need a professional auto mechanic to handle auto repair on your Maple Leaf vehicle, do not hesitate to contact Rick’s Tire and Chevron at (206) 525-9392.